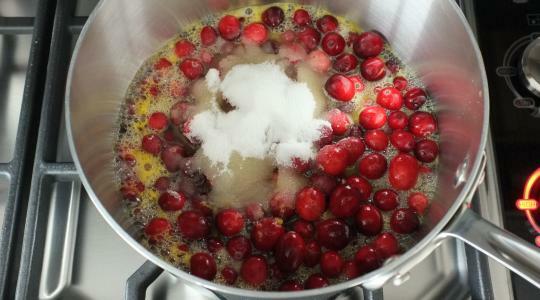 In a medium saucepan, combine the cranberries, orange juice, and sugar over medium-high heat. 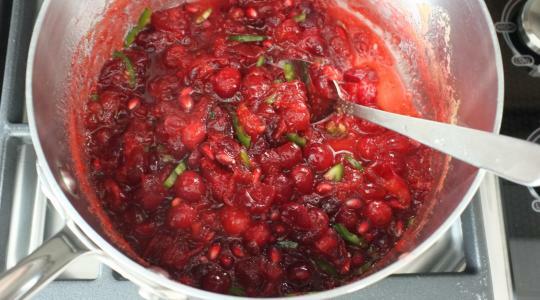 Once it comes to a boil, reduce the heat to medium and simmer, stirring occasionally, for about 10 minutes until the sauce is slightly thickened (it will thicken more as it cools) and the cranberries start to break down (you don’t want them to break down completely- a few whole ones here and there is pretty). 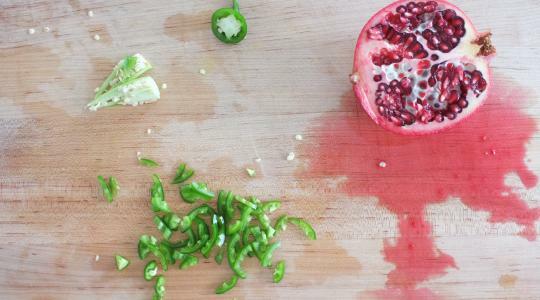 Remove the sauce from the heat and stir in the pomegranate seeds and jalapeño. 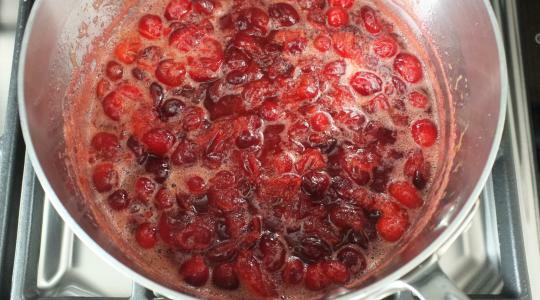 Let cool to room temperature and serve or refrigerate until ready to use.